Eaton is a leading provider of quality backup power UPS, Uninterruptible Power Supply. Eaton UPSs are designed to deliver high quality backup power from desktop PCs to large data centers. To help you find the right solution, we organize our backup power offering into three categories: Workstation & Home UPS, Network & Server UPS, and Data Center & Facility UPS. Protection for your home and office electronics is a must. Having a UPS for your computer or office equipment that is affordable and reliable is important for protecting your data and files. 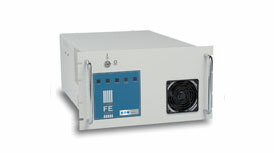 That is why Eaton offers levels of power protection and battery backup with ultimate reliability at affordable prices. These UPSs even come with free software for remote management capabilities. The Eaton 5S UPS provides cost-effective line-interactive backup power and voltage regulation for small and medium businesses with workstations, desktop PCs, telephone equipment and POS applications. 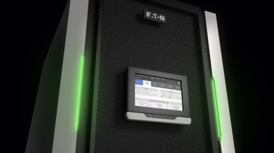 With extensive experience in supplying the industrial and marine industries with uninterruptible power systems, Eaton integrates a full line of UPSs, power conversion products, power management software, remote monitoring, turnkey integration services and site support. For decades Eaton has been manufacturing products in the United States and this year we are expanding our offering with new TAA compliant products. These new ‘Assembled in the U.S.A’ products are designed to be used in a wide range of government applications, including schools, courthouses, libraries and state facilities. Today’s government structure and functionality depends heavily upon technology and digital infrastructure. Ensuring that the public services sector has an uninterrupted supply of clean, efficient and reliable power is critical and providing protection from power failures will help ensure the integrity of vital information.